Jeff Aughey of AlphaHomes.com has developed this comprehensive online Home Selling eGuide to help all individuals selling homes in Alpharetta and Johns Creek Georgia. 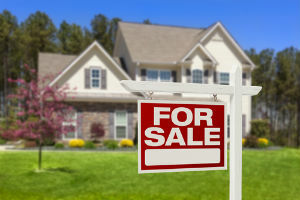 Whether you plan to list your home with Jeff, with another real estate agent or prefer to sell your home yourself, AlphaHomes.com provides you with the resources including selling checklists and how-to information you will need. Jeff’s mission is to deliver unsurpassed service and value to North Fulton County Georgia homebuyers and home sellers. He works exclusively in Alpharetta and Johns Creek. Jeff believes that 30022, 30005, and 30097 are the best zip codes in the metro Atlanta area to raise a family. A full-service, full-time real estate agent since 1988, he moved his own family to Alpharetta in 1994. Contact Jeff for a complementary personal consultation to discuss your real estate needs.